Lives and works in Vienna. She received her training at the School for New Dance Development in Amsterdam. Since 1994 she is free falling along her way in respect of art, text, production, music, performance and television. She is not only the lead singer in the band „laut Vereinbarung", she works also as an instructor for Performance, Stand-Up and Personal/Fictional/Social Storytelling. 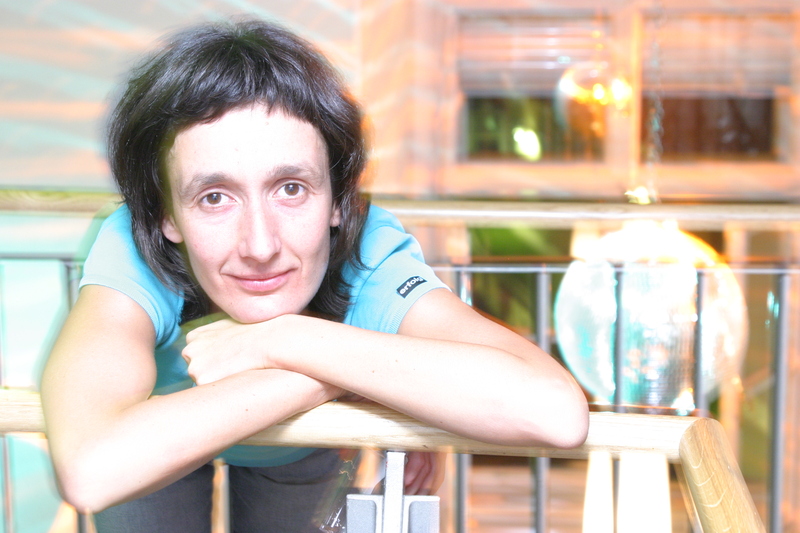 In 2003 she was Artist in Residence at Tanzquartier Wien. Her work was presented among others at Westend 05 Festival/Leipzig, Flying Circus/Singapore, Kaaitheater/Brussels, ImPulsTanz Festival/Vienna, Baltoscandal Festival/Rakvere, Panacea Festival/Stockholm, Berlin, Lisbon, Cologne, Zürich, Belgrade, Budapest, Ljubljana, Bucharest, Basle, Berne, Bremen, Geneva, Lausanne, Durres/Albania. She collaborated among others with Nadia Lauro, Jennifer Lacey, Nadja b. Schefzig, fishy, Robert Steijn, Frans Poelstra, Fritz Ostermayer and Lloyd Newson-DV8.